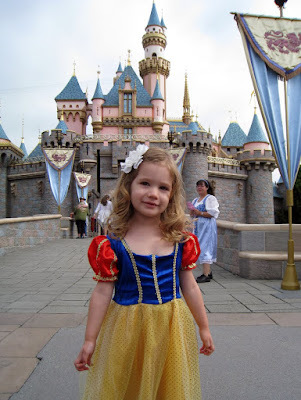 Just as on day 2 and day 3, Ava wanted to wear her Snow White dress on day 4 also. We started the morning with the obligatory pictures in front of Sleeping Beauty's Castle. After about a dozen pictures, Ava finally decided it was time to go on some rides. So, we spent the rest of the morning going on all of Ava's favorite rides, including her most favorite ride of all—It's a Small World. After lunch (and a quick outfit change for Ava into some street clothes) we strolled through the Downtown Disney shops and saw Granny O and Freddy O off to the airport. We then returned to Disneyland to ride on (you guessed it) It's a Small World—over and over and over again. 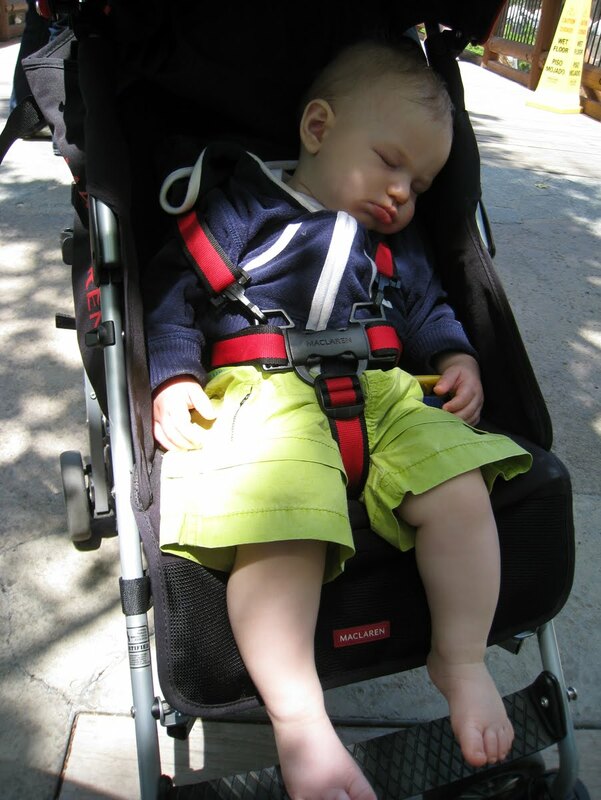 In the late afternoon, Ava went on some more rides with the girls in California Adventure Land while Larry pushed Christian around in the stroller so that he could take a much-needed nap. As the evening approached, we noticed an increasing number of park patrons dressed as goths. Curious by the phenomenon, Larry asked a group of them what the occasion was. As it turned out, day four of our family vacation just so happened to fall on Bats Day in the Park. (Had we known in advance we would have brought along our black lipstick and fishnet stockings to wear!) To commemorate the occasion, we asked our new gothic friends (who were extremely friendly—in fact, several of them were Disneyland park employees!) if they would be willing to pose for a picture with Ava. 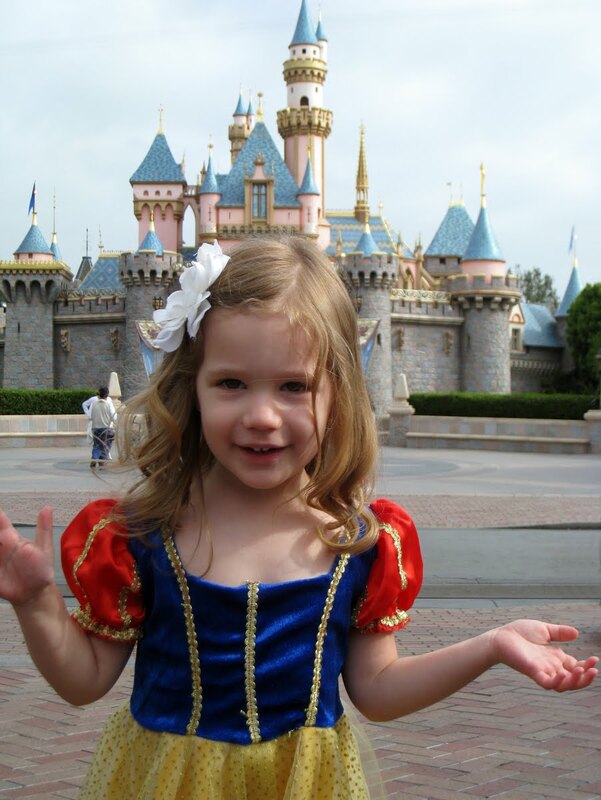 They happily obliged and even offered to let Ava wear some Mickey Mouse bat ears, but she would not consent. Nor was she very happy to have her picture taken with them either. Apparently she's not ready to trade in her all of her pink outfits for a wardrobe consisting solely of black. We said goodbye to our Goth friends (who were all congregating by the Haunted Mansion for a group photo) and headed over to the Sleeping Beauty Castle where Betsy and Owen were saving us front row seats for the evening fireworks show. 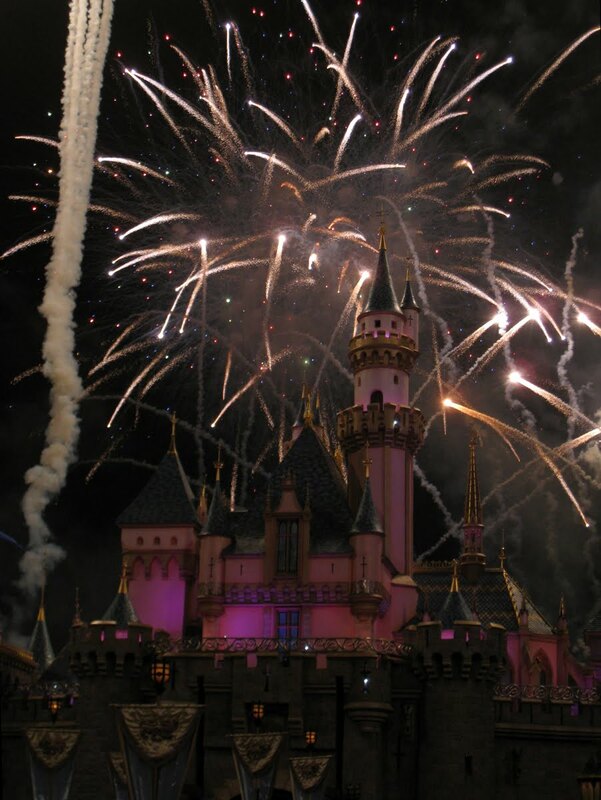 And thus ended our Disneyland vacation. We had such a wonderful time and are so happy we got to spend it with Freddy O, Granny O, Betsy, Owen, and Lauren. We're already looking forward to our next trip there. Small world was closed when we went, so thanks for th video. Katie wanted to watch it again and again! I enjoyed the subtitles and the ending....:). And the Goth picture is hilarious! Looks like an exciting, magical time! What a fun family tradition you guys have started for your kids. If you keep this up, they will always have such amazing memories of going there as a family. Ava looks like she is about to hyperventilate from excitement the whole time. She must have just been in heaven. I bet it was so fun. Best blog post EVER!!! 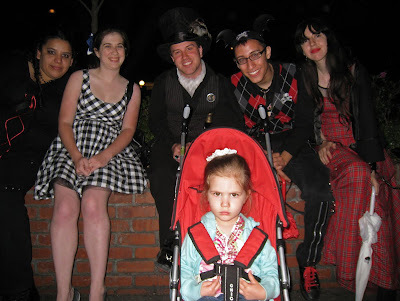 I am still laughing about Small World and the goth photo! Love you guys! what a cool trip! hope someday we could handle all four to do it! Haha I just watched that video for the first time. I think last time I only had time to look at the pictures...hilarious.